Mold spores are always floating in the environment. Each time you open a door or window, mold spores can enter your home. Molds are most likely growing to some extent right now in the dusts that settle on surfaces in your home. It is impossible to eliminate all molds and mold spores. 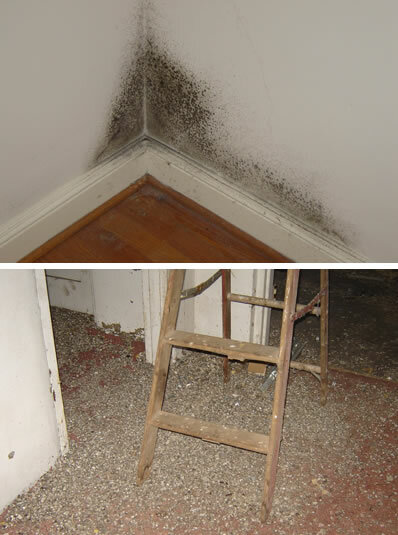 Since molds cannot grow without moisture, you can control mold growth by controlling indoor moisture. If moisture does get in, and you do have visible molds, be sure to clean non-porous surfaces such as smooth plastic or glass. Unfortunately, you may have to remove and dispose of porous items like upholstered furniture, drywall or ceiling tiles. From Richmond to Charlottesville to Harrisonburg, moisture is palpable in the summer heat of Central Virginia. High humidity is a welcoming environment for mold so moisture control is essential to prevent mold from becoming established in your residence or commercial property. If mold has already begun growing, dehumidifiers can be essential for to get rid of mold and prevent it from returning.